i have really bad "swing back knees" as other known as hyperextension. i have been to the physic once or twice and he has given me a few exercises to do at home to improve. he says its because the ligaments around my knee are not flexible. my ballet teacher says its because of my bad swing back knees and my mom says its because the soles of my feet face inwards to the ground and my arc is disappearing. is this true? my knees hurt extremely bad when i do plies and rises. I also play hockey... is that the problem? everyone is saying different things and I'm very confused. i know dancers love the look of swing back knees but to me, it hurts so bad when i do something wrong. my mother also docent believe me and says that i must role a tennis ball under my foot to warm up the muscles under my foot. anyway, i am very confused on what to do with myself and if i don't find a solution quick i won't be able to dance no more. If you have pain when doing plies and relevés, there’s really something wrong going on. I can not tell what it is and I recommend you to search for a physiotherapist that specializes in dance or at least in sports. Do your pliés and relevés slowly and very carefully, looking for a path with which you avoid pain. Teachers, friends, moms and other close people love you, but they should not guide you unless they have serious medical knowledge. If you want to continue dancing, you need to work with doctors and physiotherapists until you understand what’s happening and until you work out your body so that the pain is not there anymore. 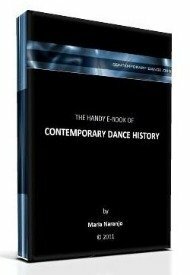 If dancing is badly painful, there are very probably technical mistakes being done. So now be disciplined and visit as many physiotherapists as needed.